Carpet Cleaner MR50, 1300 Watts, 1 Bar Steam Pressure, 300cc Water Tank, 30 Second Heat Up, Weights only 5 Lbs, 10' Power Cord, Great for Pet Owners! 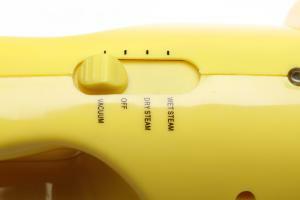 The Vapamore MR-50 Steam Vac the only portable wet / dry vacuum and steam cleaner combined in one. 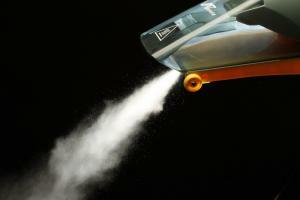 It's great for pet owners, as it cleans wet or dry stains, spills, dirt, and grime instantly before it sets in. Especially perfect for taking care of accidents that younger pets may have. Catch them before they set in! The steam feature has duel operation modes, instant high temperature dry vapor steam for general cleaning, or high temperature wet steam for set stains and spills at the touch of a button. 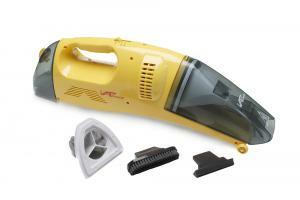 It can also be used as a conventional portable wet/dry shop type vacuum without having to use a big and bulky shop vac. This is because the water tank holds 300 mm of water, supplying continuous steam for your needs. The MR-50 features three operation modes: wet steam for deep stains, dry steam for general cleaning, powerful wet-dry vacuum. The MR-50 from Vapamore™. The powerful, portable solution. The perfect pet solution: Catch the mistakes of your beloved companion before they set!